Do you love the prim vintage look? Get ready for a Vintage Halloween Party! 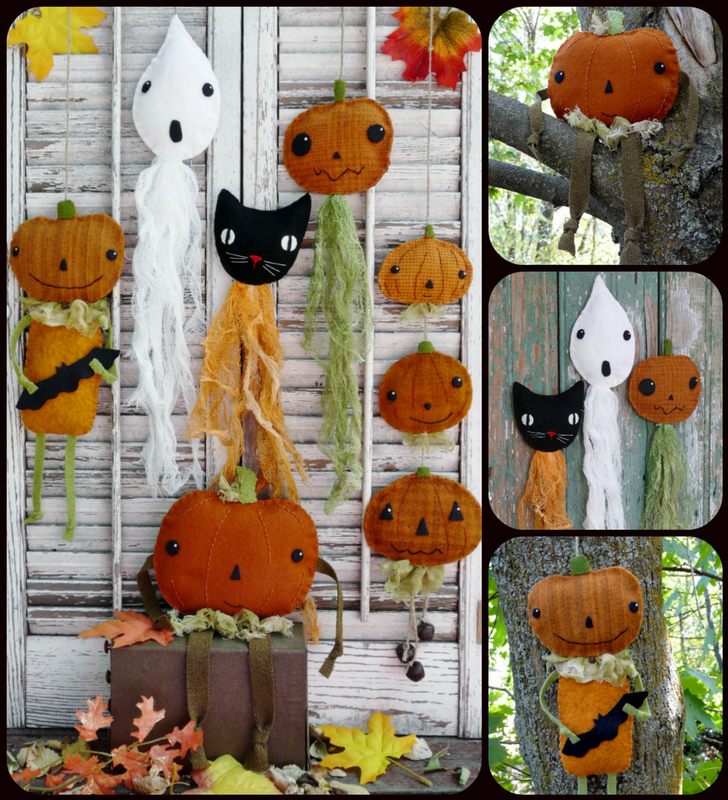 The dangling cat, ghost and pumpkin. 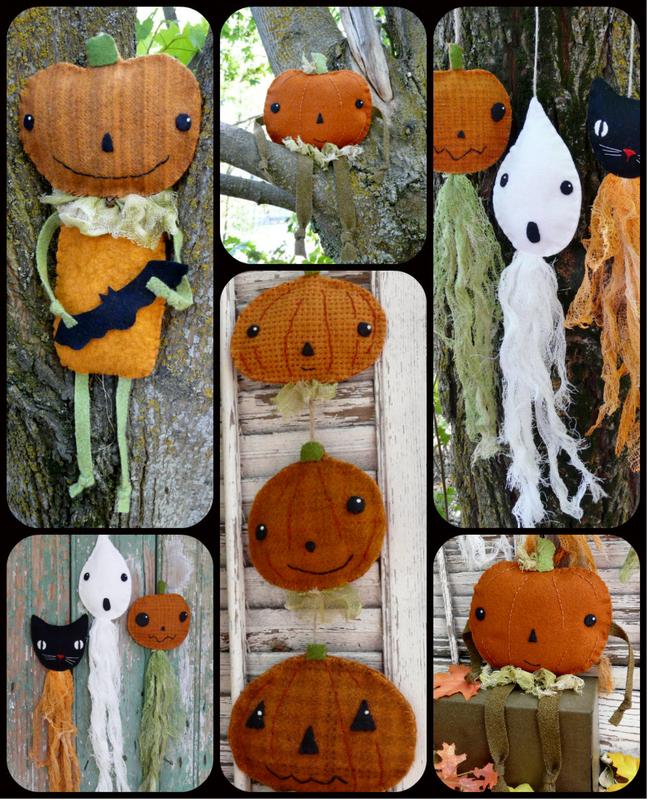 What a perfect addition to your Halloween decor...easy and quick too! These are Fun and addicting.....plus they are great to sell at craft shows! 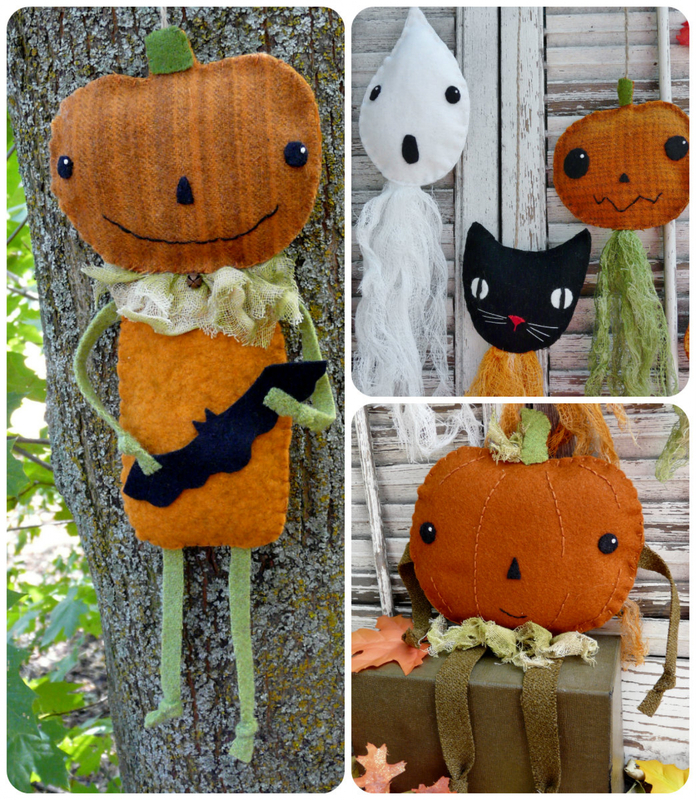 These make great displays & are fun gifts! Any pattern can be purchased and instantly downloaded in my etsy shop....if that is what you prefer.